The I Am Woman digital book release date is on February 11, 2016. I could not be more excited for the co-authors of this book. Although none of us have read the other’s stories, I do know that for many of us, it was an act of courage putting our lives on a world stage. Personally, I am both excited and nervous about its release because of the dark period in my life for which I share. My saving grace is that I know this book will help someone who is facing or has faced similar circumstances. In the end, no matter how anxious I am about its release, it’s my story and I can’t do a thing about it. What I can do is make sure that my life stays out of the darkness and remain in the light of Christ. The event is February 20, 2016. Get your tickets now for the event of the year hosted by the I Am Woman Network. The Summit will be held at Sheraton Hotel – Medical Forum C – 2101 Richard Arrington Jr. Blvd N Birmingham, AL 35203 starting at 10:00 am. The I Am Woman book signing will be begin at 1:30. 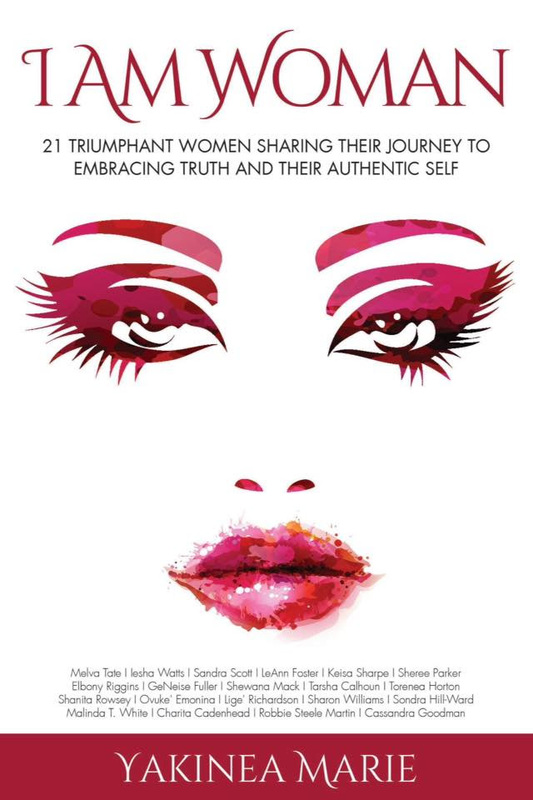 Come and enjoy this empowerment summit and help to celebrate the 21 authors of the I Am Woman book for sharing their journeys of Embracing Truth and Their Authentic Self. No Responses to "Order Signed Copy of I Am Woman Book"